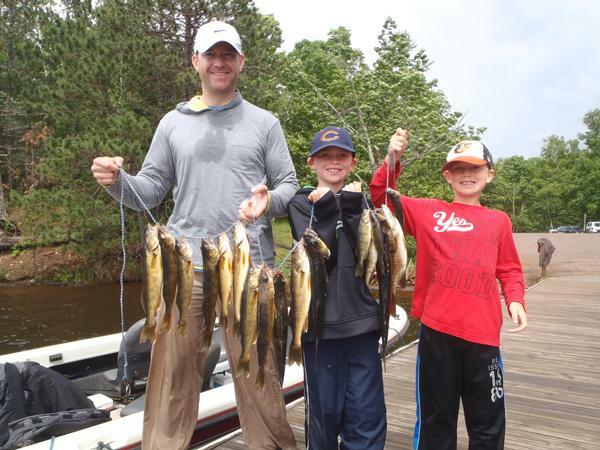 Walleyes are in their summer pattern now. What does that mean? There are a lot of places to catch them. Shallow wood, cabbage weeds, deep wood, large flats with laid down logs, mid lake humps, down trees. They will all hold fish, in general I save the deep spots for mid July thru August, unless we get a sunny flat day then I may go deeper. Today with dark skies and a decent chop we found a great bite in shallow water. 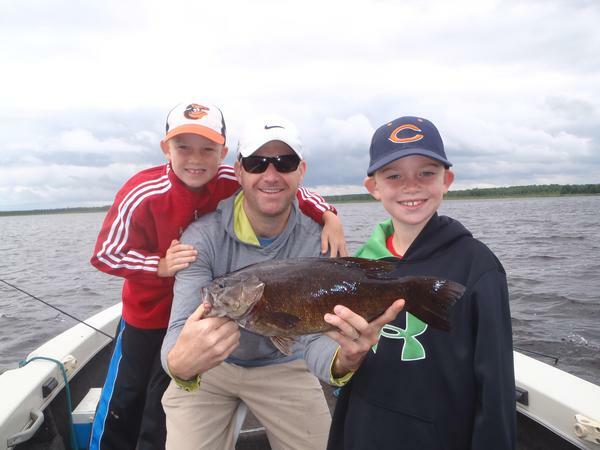 It was a good day for dad, Greg to spend some time with two sons, catching fish. We kept a limit of nice walleyes, released a lot of others, kept a pike some perch and one smallmouth not too big to keep, we released a few nice sm biggest 18-1/2". I have fished almost every day since May 3rd ,there have not been many slow days this year. I don't look at lunar charts or even the barometer, I am going fishing either way and don't want any preconceived notions or excuses. I gotta say it is a strange feeling ,today, waiting for my customers I new we were going to catch a lot of fish, yesterday, on the surface it looked like a good fishing day, big wind, clouds but something felt off, we caught fish but not like today.